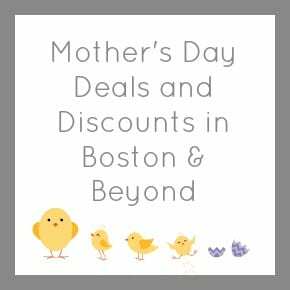 Mother’s Day is this Sunday, May 13, 2018 and Mom can get a few perks on her big day from local establishments. Sturbridge Village (Sturbridge): Free admission for Mom on Mother’s Day! 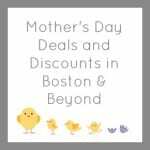 Franklin Park Zoo (Boston): Free admission for all Mother’s on Sunday! Stone Zoo (Stoneham): Free admission for all Mother’s on Sunday! Southwick Zoo (Mendon): Half price admission for Moms on Mother’s Day weekend! Davis Farmland (Sterling): Bring your mom for free on Mother’s Day and Moms get a free massage too! Moms can also eat free on Sunday at The Kinsale and Asgard if you are looking to take mom out to eat on Mother’s Day!